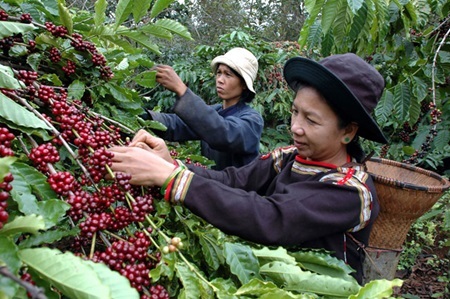 HANOI, Vietnam – According to the latest figures, Vietnam exported 1.46 million tonnes of coffee in the first three quarters of calendar year 2018. This is a 20.1% surge in volume compared to the same period of 2017. Despite this large increase in shipments, export earnings were down by 0.4% on year to US$2.77 billion. Lower incomes are attributable to a significant decline in export prices in the period under review. In fact, the average export price of Vietnam coffee was estimated at $1,731 per tonne, down 6 per cent against the previous month and down 25.8 per cent compared with the same period last year.